(Natural News) Since the end of September, experts claim that there has been a spike in radioactivity detected in the air over Germany, Italy, Austria, Switzerland and France. Although scientists are still unaware of what is responsible for this increase, new calculations suggest that it originally came from somewhere within the southern Ural Mountains. Specifically, the radioactive material that was detected over western and central Europe was the isotope Ruthenium-106, which is part of the platinum group of metals. It is most commonly used in alloys or as catalysts for industrial purposes, and at times as a source of energy to power satellites. 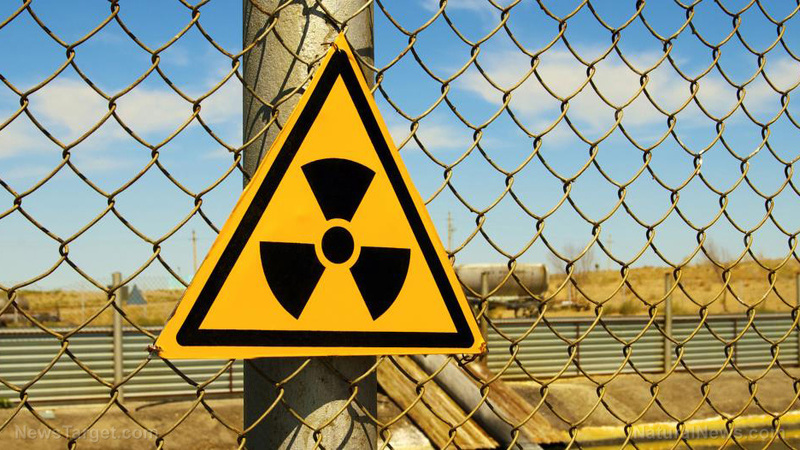 Considering the fact that tensions between the United States and Russia have been steadily on the rise in recent months, the idea that increased radiation levels have been detected over western and central Europe is, at the very least, quite concerning. But believe it or not, this isn’t even the first time that increased levels of radioactive material have been detected about Russia. Back in February of this year, the Daily Express reported on a radiation spike in Europe that led many to believe that Russia was conducting secret nuclear tests in preparation for an attack. Unlike the radioactive material that was detected late last month, the radioactive material from back in February was Iodine-131, and was first detected over the Russia-Norway border. Eventually, the radiation was also detected in Finland, Poland, Czech Republic, Germany, France and Spain. When it comes to stockpiles of nuclear warheads, the Russians are currently in the lead with an estimated 7,000 bombs, followed closely by the United States with 6,800. Other countries don’t even come close to these numbers – France is armed with 300 nuclear warheads, China has 270, the United Kingdom has 215, Pakistan has 140, India has 130, Israel has 80, and North Korea is equipped with 10. An army equipped with 7,000 nuclear bombs going up against an army with 6,800 nuclear bombs – that is, Russia going to war with the United States – would be absolutely disastrous and could result in the death of millions of innocent people. President Trump must tread lightly, but at the same time remain committed to the idea of peace through strength as the late Ronald Reagan spoke about over three decades ago. If Russia really is carrying out secret nuclear tests, then the United States must be prepared to take action should it become necessary.